PERMACULTURE: Can It Meet With Conventional Ag? 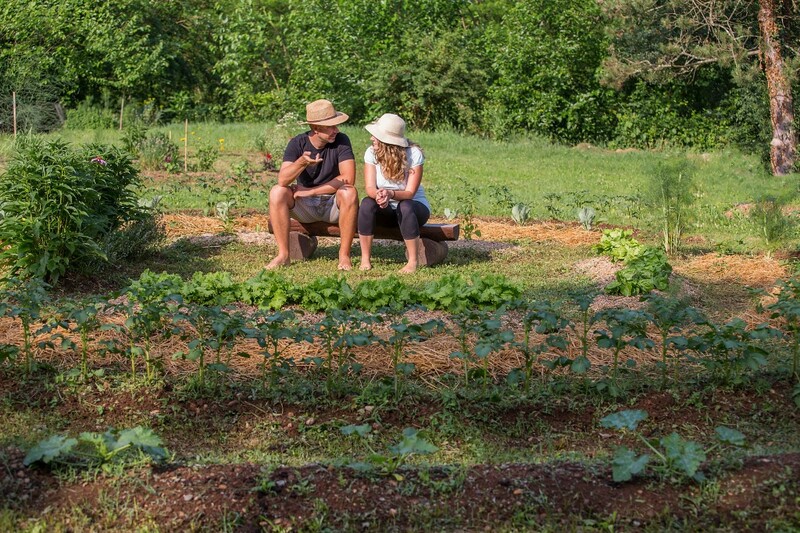 For some, the word permaculture might bring to mind an image of a group of hippies living off the grid with dreadlocks and an obscene amount of home-brewed kombucha. For others, permaculture might be a synonym for a homestead utopia in the woods where they raise a family and live off the land. Bloom and Boehlain point out in their well-read book Practical Permaculture, that permaculture has “been defined as extreme organic gardening and as a lifestyle that includes being barefoot and spiritual, doing circle dances and full-time yoga”; at the same time, however, they note that while these images pertain to certain aspects of permaculture, they don’t provide a clear explanation of what permaculture really is. In attempting to understand what permaculture is, it may be helpful to go back to its very roots. The idea was born in the mid-1970s out of the work of a teacher-student collaboration between Bill Mollison and David Holmgren in Tasmania, often referred to as the fathers of permaculture. Mollison and Holmgren developed ideas throughout Holmgren’s thesis, and then, in 1978, published the first work of permaculture literature Permaculture One. The term permaculture, first coined by Mollison, started out as a contraction of the words permanent and agriculture, but has since been importantly expanded to include the idea of permanent culture as well. Mollison and Holmgren started to question why the agriculture industry didn’t look more like nature. They saw the way in which humans were destroying the earth and began to develop ideas for how things could be done differently. At the time, they saw the vast majority of thinkers in the environmental space simply “analyzing our own destruction”; they considered it essential to actually do something and find a better way forward. Holmgren defines permaculture “as consciously designed landscapes which mimic the patterns and relationships found in nature, while yielding an abundance of food, fibre and energy for the provision of local needs…more precisely I see permaculture as the use of systems thinking and design principles that provide the organising framework for implementing the above vision”. It is important to note that permaculture is not a collection of solutions, but a methodology through which problems can be solved. 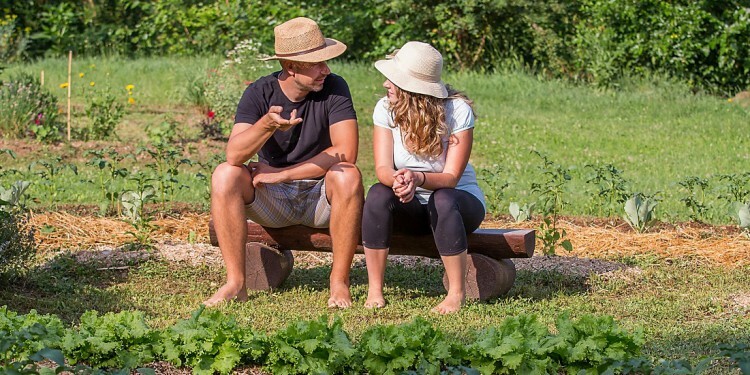 The core of permaculture is to bring together, through mutually beneficial relationships, people and the land they live on. The principle ethics of permaculture are care for earth, care for people, and fair share. Mollison and Holmgren saw it as essential in creating sustainable systems that human agriculture and culture be weaved “back into the fabric of living ecosystems” (The Urban Farmer, 2018). In order to do this, permaculture design seeks to blend traditional and contemporary knowledge in a contextually fitting way. Ron Berezan, a permaculture teacher and practitioner based out of Powell River, BC, notes on his website, “permaculture calls for a cultural shift that includes not only how we feed ourselves (agriculture), but also our housing, transportation, economy, social organization, education, energy, health, and the very way in which we understand our relationship to the world around us (i.e. spirituality)”. 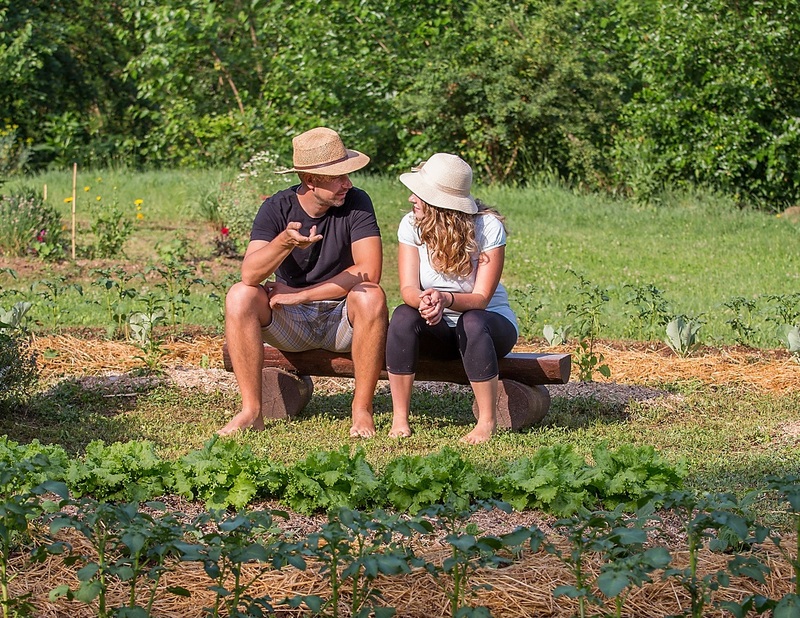 Bloom and Behlain attempt to explain this by saying “In a sense, permaculture is a way of life that’s ahead of its time while also taking us back to how our ancestors lived, sustainably and within their ecological means”. It attempts to address the problems in production and consumption, designing land use and ways of living. Because of this, it is impossible to talk about the relationship between permaculture and conventional agriculture without also addressing conventional living. Permaculture cannot be discussed simply by comparing techniques for how food is grown, but it must be integrated into all of the aspects of life that are interconnected with that production and consumption of the food. The core of permaculture is to bring together, through mutually beneficial relationships, people and the land they live on. When talking about the viability of permaculture as an alternative to the conventional agricultural system, many people discuss the viability of permaculture solutions, when the more valuable discussion is in talking about permaculture principles. Permaculture, by its very nature, is a highly contextual design system. Its contextual nature means that permaculture will not and should not look the same in any given place, because different solutions make more or less sense depending on place, people, scale, desired yield, and so on. This is the reason that permaculture design places such a heavy emphasis on observation. The image that permaculture generally fits into is a small-scale self-reliant homestead where a family or community is subsistence farming (growing crops to meet their own needs). While this image is idyllic for some, it is not realistic to expect that the entire human population will shift their lives to subsistence farming in the near future, outside of the influence of some kind of drastic environmental or economic catastrophe. 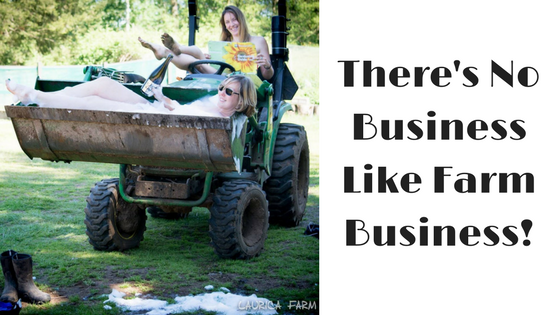 All things being equal, people in the developed world will continue to want to spend their time pursuing their various careers, and have their food grown by someone else. Essentially, given an observation of the needs in modern culture in the developed world, the permaculture framework must lead to different solutions than it would in another situation. Permaculture and conventional agriculture both have focuses that are important in their niches and in the problems that they address. In permaculture lingo, it could be said that the desired yields of conventional agriculture and permaculture determine the shape that the solutions take. While permaculture provides a system for a holistic approach to earth and people care, conventional agriculture has been designed to be economically sustainable and feed many people at once. The yield that conventional agriculture works for is efficient, reliable, large-scale crops. Holistic permaculture and conventional agriculture both come with benefits and costs. One of the major costs of permaculture is the difficulty to produce a large-scale harvest of a single crop, which is very important in the modern economic system. Alternatively, one of the costs of conventional agriculture is the loss of topsoil. Permaculture design places a great emphasis on building quality soil, instead of slowly using up soil. It mimics nature in building soil in different areas by avoiding disturbing the ground, growing perennial and biologically diverse plants, cover cropping, using compost and mulch, rotating plants, and rotational grazing. Montgomery from the Scientific American blog says that he now sees “adopting farming practices that build soil health as the key to a stable and resilient agriculture. And the farmers I visited had cracked this code, adapting no-till methods, cover cropping and complex rotations to their particular soil, environmental and socioeconomic conditions”. In conventional agriculture, however, the view on soil is very different. Rather than building healthy soil, the World Wildlife Fund published an article stating that the “transition to agriculture from natural vegetation often cannot hold onto the soil and many of these plants, such as coffee, cotton, palm oil, soybean and wheat, can actually increase soil erosion beyond the soil’s ability to maintain itself”. This was followed by a claim that “half of the topsoil on the planet has been lost in the last 150 years”. Part of the problem is in the efficiency of modern technology in conventional agriculture. 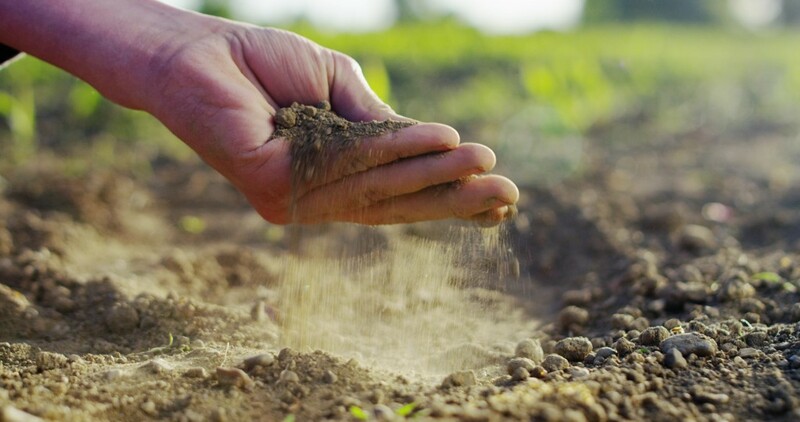 The Ontario Ministry of Agriculture, Food, and Rural Affairs notes that “continued advances in soil management and crop production technology that have maintained or increased yields in spite of soil erosion, others are not aware of the increasing problem on farmland”. In other words, we can’t really see the extent of the damage because the loss of quality topsoil is being offset by other efficiency advances. Just because it can’t be seen though, doesn’t mean it’s not a problem. This is because the loss of topsoil doesn’t have an isolated impact on the amount of a crop that can be grown on a given piece of land. Agriculture and Agri-food Canada released a statement acknowledging “soil productivity loss following erosion may be significant” continuing to say “more commonly crop yields are reduced by the loss of plant nutrients, and the degradation of soil physical properties such as soil crusting and in the reduction of water holding capacity”. Topsoil loss has an impact on water holding capacity and plant nutrition. It seems that our discussion must be broadened to ask not just whether permaculture is a viable alternative to conventional agriculture, but what the costs are to each approach. So where do permaculture and conventional agriculture meet? In many ways, permaculture, as a holistic approach to land use and lifestyle cannot simply exist in the agricultural space of modern culture as it is, since the approach itself is rooted not only in food systems but also culture. However, any of the permaculture-based design approaches can be used by applying permaculture principles to agriculture in a way that fits modern society. While planting layered perennial food forests may not be economically viable on the large scale, large scale farms may still be able to incorporate principles of permaculture such as care for the earth and care for people. In caring for the earth, permaculture design systems work in no waste, closed-loop systems as much as possible, mimicking nature. Creating closed loop systems that recycle materials by making sure that each element of design has multiple functions is not something that has to be limited to the holistic permaculture space. In many areas, permaculture and conventional agriculture work alongside each other in providing for the needs of people in communities through working with the land. The philosophy of permaculture itself is not at war with conventional agriculture. If anything, permaculture is a call for reform. Permaculture principles in different forms can be applied in areas of conventional agriculture where they make sense, because the context of the problem being addressed determines the solutions that should be applied. 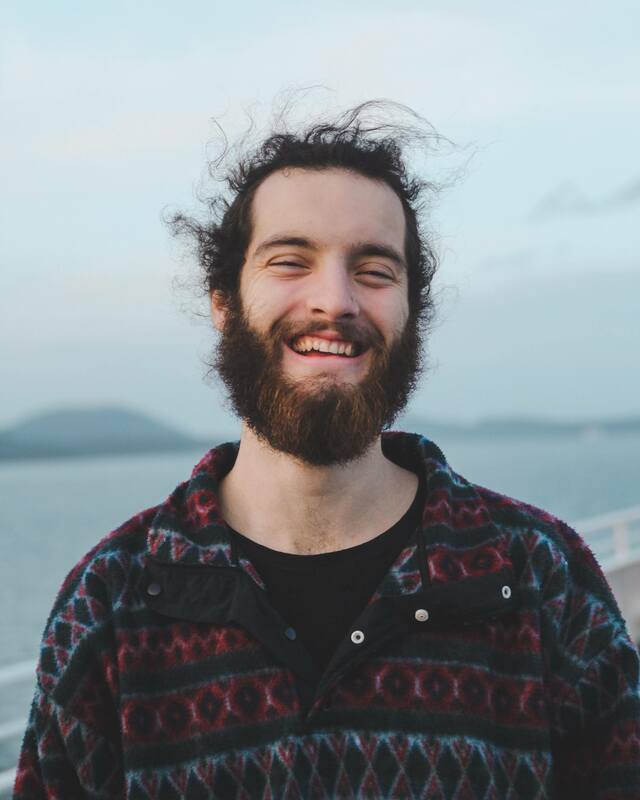 Cycling from Vancouver to Peru after high school allowed Finlay to meet people who showed him the beauty of a simpler lifestyle. 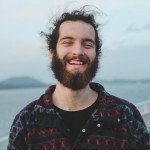 Introduced to ideas of permaculture through his father, Finlay now attends the University of the Fraser Valley and is pursuing an Interdisciplinary Degree, attempting to understand current economic and political systems, their development throughout history, and how they integrate with food and resources.